Spring is on the way, and with the welcoming of a new season comes a new season of sports as well. Baseball, lacrosse, softball, and track will all hold tryouts beginning Friday, March 1. Baseball will look to change their fortunes after a defeat in the third round of the playoffs last year, in which they lost by a score of one to zero to Reservoir in 13 innings. Coached by Brian Culley, the new varsity squad will look to have a successful run in the playoffs again, this time with the hopes of making it farther, although it will be tough to match the dominant team from last year. The team lost a strong group of seniors lead by pitcher, Noah D’Alonzo and third baseman, Lake Lloyd, who now play at Wilmington University and Shippensburg University, respectively. Junior Magnus Dunn said that the team feels motivated by last year’s loss in the playoffs to Reservoir, and that, “we’ve got our eyes set on Reservoir and we’ll be ready when the time comes.” That chance will first come on March 25, when the Vikings travel to Reservoir. Boys lacrosse will look to move on from their second round defeat in last year’s playoffs against Centennial. This year, the Vikings will be starting out the season without Garrett Snyder, who suffered a torn ACL, and Lucas Suri, who also tore a few ligaments in his knee. After having a losing record last year, many players think they will be able to turn things around this year. “I felt like our record did not really match the skill level of our team as we were playing a lot of out of county teams that have larger populations. This year our schedule is fairly similar, so we’re hopeful that we’ll do better against those opponents,” Brown pointed out. 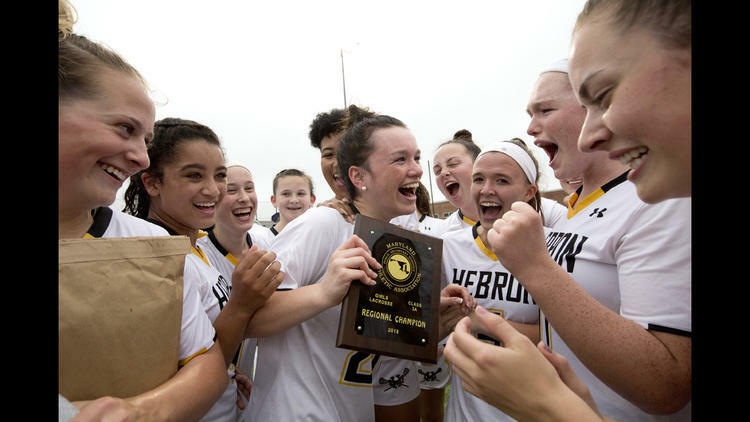 Girls lacrosse will have big shoes to fill this year, as the program was able to make it to the state final last year, where they lost to the Westminster Owls, nine to five. The competition to make the team this year will be tough, as there are over 40 girls trying out. The Vikings lost some key players from last year, including Julia Leishear, who currently plays lacrosse at Shippensburg University, and Annie Ryan, who plays lacrosse at Campbell University. One key addition for the Vikings will be junior Olivia Suazo, who transferred to Mt. Hebron from Glenelg Country School. Suazo has already committed to playing lacrosse at Jacksonville State. The junior’s twin sister, Alexa, is also expected to have a large impact on the success of the team. Senior Emily Bullock, a returning varsity player, said that the team has been preparing for this season for a long time. The softball team will look to improve from last year, after a first round exit in the playoffs. The team finished with a 7-12-1 record. The Mt. Hebron indoor track team produced a second place finish from the boys at the Regional Meet, a Regional Title on the girls side, and a second place finish at the State Meet for the girls. The outdoor track team hopes to build off of this success in the upcoming spring season. With fresh rosters including juniors who will be new to the varsity level of competition, spring sports teams at Mt. Hebron will be looking to bring home a county or state championship.